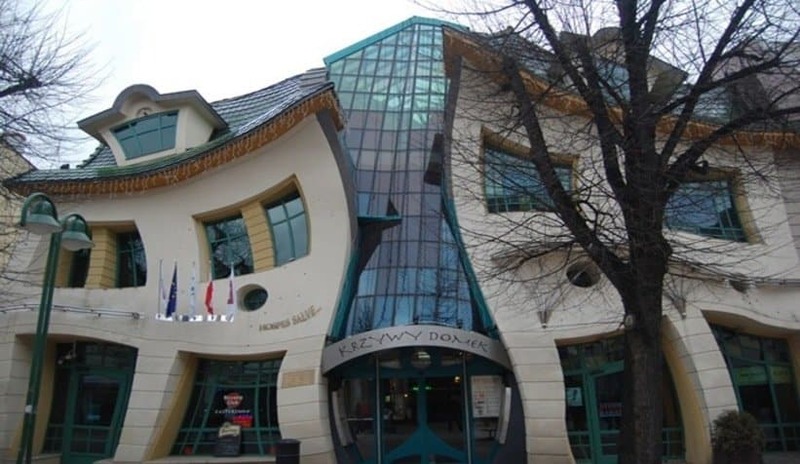 Are you tired of looking at the same old boring buildings day after day, and wish you could jump into the worlds of say, Dr. Seuss, or some far-flung alien planet where the architecture is as weird as the locale? Look no further. This list contains twenty of the strangest, funniest pieces of earthling architecture, and some of the structures will make you wonder if some of these people actually did visit some extraterrestrial culture, and upon their return, they implemented some of which they saw. 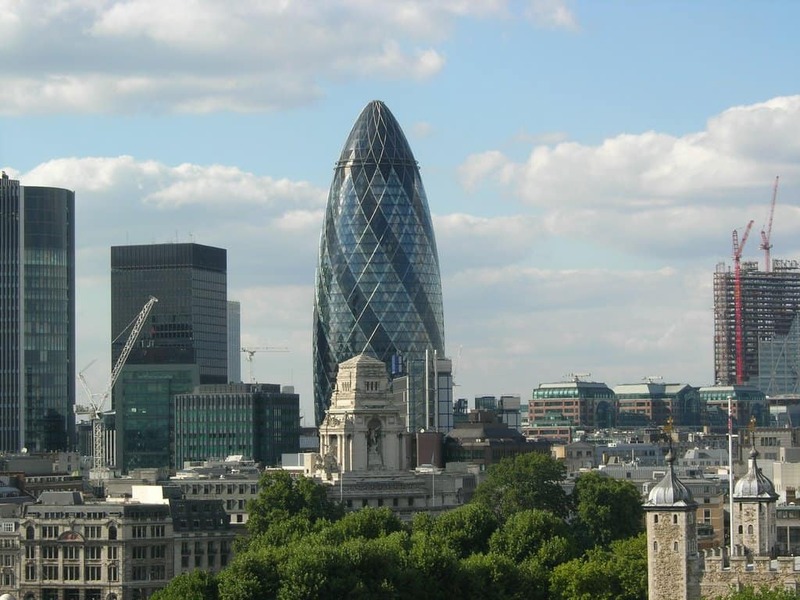 Situated at the heart of London’s financial district, this rather off-the-wall skyscraper does look somewhat pickle-like, but it’s also been compared to an egg-shape as well. Its external function, however, balances out its weirdness: the outside has solar panels on it, making it one of the greenest buildings in the city. The photo here is of the structure during the day, but like many London buildings, the Gherkin looks amazing at night. 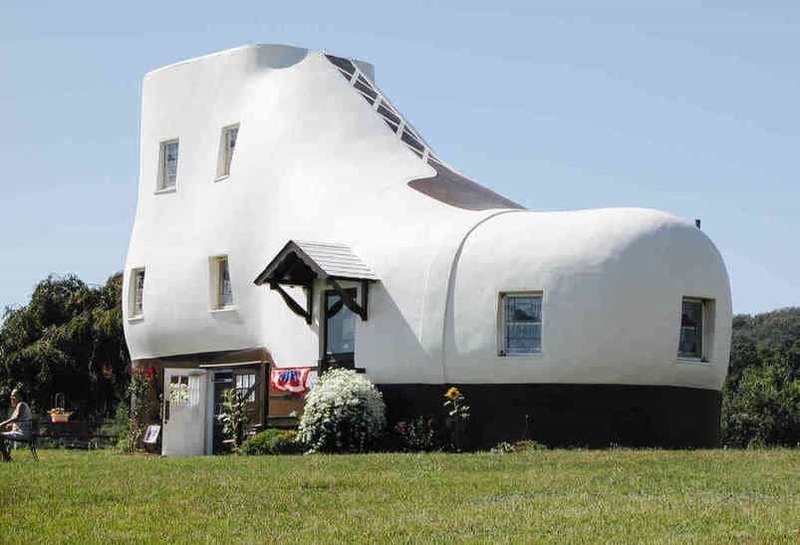 One of the strangest houses ever built was erected in 2003. It was based on Polish children’s book author and artist Jan Marcin Szancer and Swedish painter Per Dahlberg, who lives in Sopot. If you’re not familiar with these artists, go ahead and look them up, then come back and understand the inspiration for the almost-‘Dr-Seuss’-like weirdness. Everyone knows this one, but it still belongs in the Top 20 just because of its unusual shape. In fact, it’s famous because of its shape. Now, how do we get a certain “Opera Ghost” to haunt it? Transporting goods by water is one of the primary ways the Netherlands does business, and locks and dams are a common feature. But some areas require smaller drawbridges. 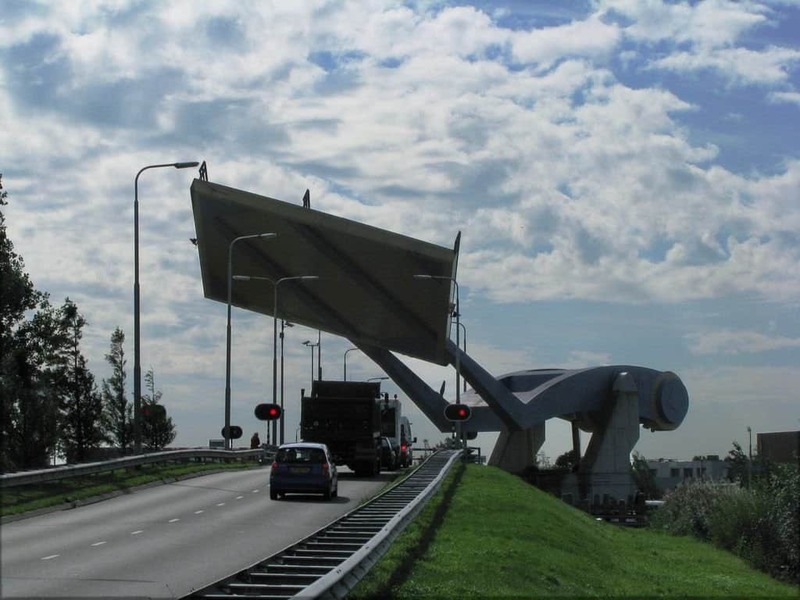 The “Flying Drawbridge,” so nicknamed for the fabled ship “The Flying Dutchman,” is a solution to this challenge, and instead of the bridge having hinges, the bridge is attached to a big concrete pylon. It’s painted blue and yellow to honor the colors of Leeuwarden’s flag. Built in 1948 by a shoe salesman who wanted to make sure his shoes definitely got sold. It’s a two-bedroom place, and it’s been renovated over the years to keep it in shape, from heel to toe. But just imagine if a certain old woman with tons of kids moves in? The space is definitely going to be more than a bit cramped. Shipping container homes have been a growing trend in the desire to upcycle old things into new while protecting the environment. 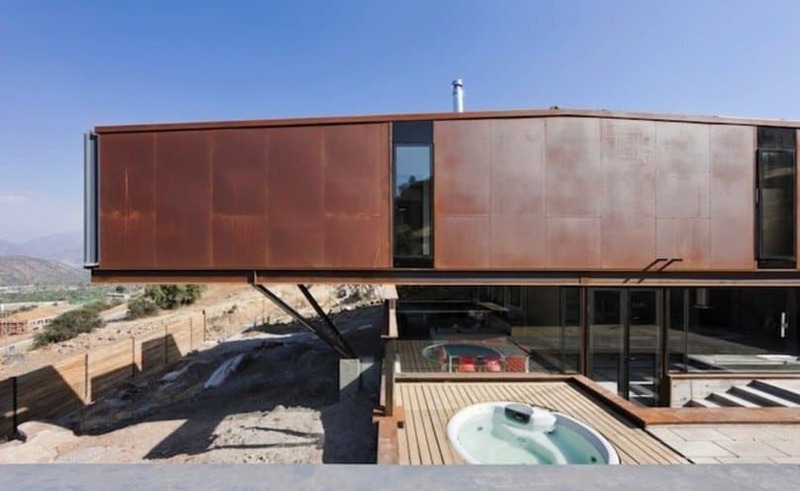 This house made out of a Caterpillar shipping container is no different. It’s quite Frank-Lloyd-Wright-like in its structure, and it’s likely he would approve. Yes, it looks like a blob of something. 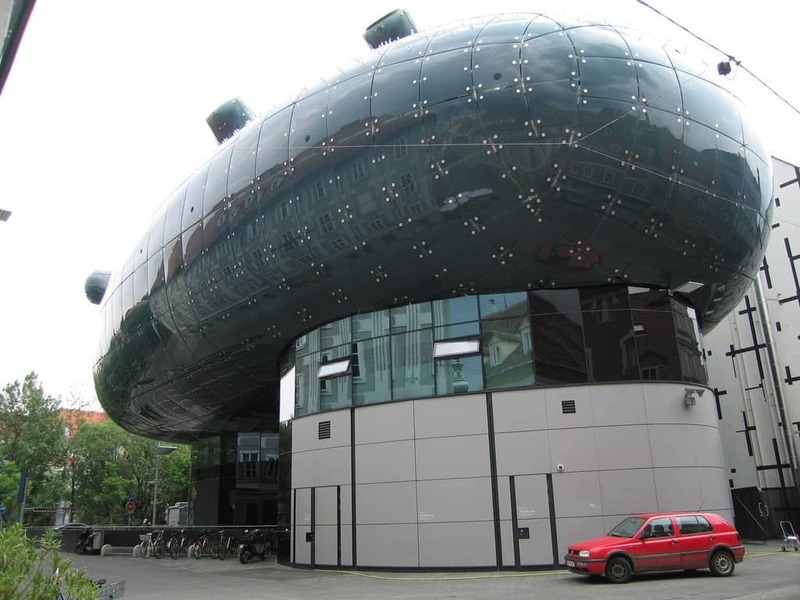 But that’s how the architects designed the Kunsthaus (“Art-house” in German) in Graz, Austria, and yes, that’s what they actually called the style they used. They’ve also called it “The Friendly Alien,” and it’s definitely a stark contrast to all the “old-world”-style architecture that otherwise prevails in the area. 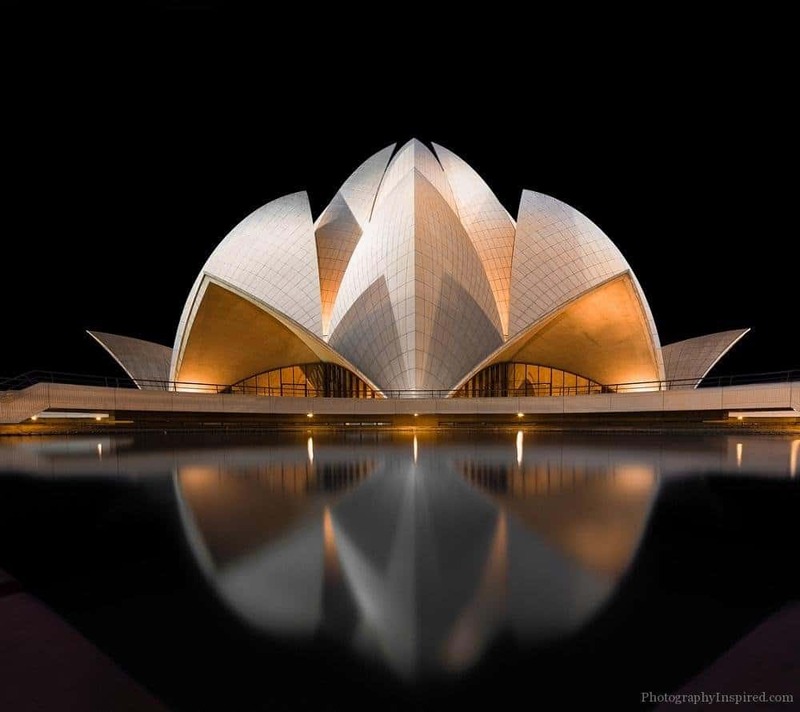 This strange-yet-beautiful building is thought of to be one of the most architecturally complex buildings in the modern world. It certainly took a long time—10 years to be exact—for the temple to be completed. The work force alone totaled 800 people. But when it’s lit up at night, the sight is worth the time they took. 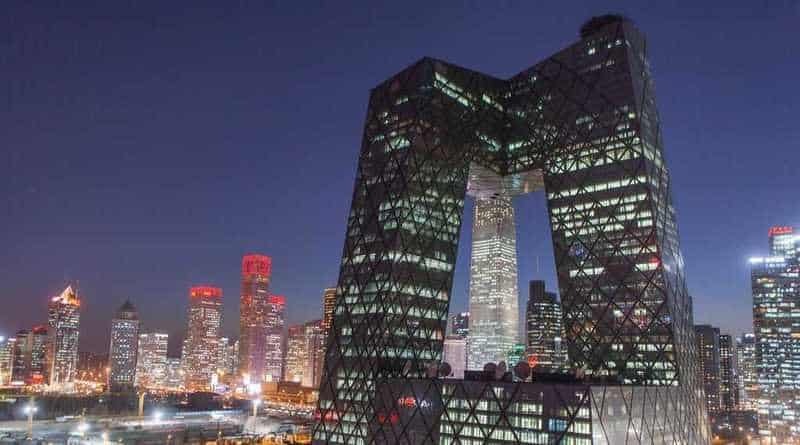 Nicknamed “da kucha,” which roughly translates as “boxer shorts,” this truly odd building consists of two leaning towers, bent at a 90-degree angle at the top and bottom to create an infinite loop. Considering that the building houses the television headquarters for China, it’s actually rather symbolic of the electricity it takes to power a TV. Still, it’s weird. 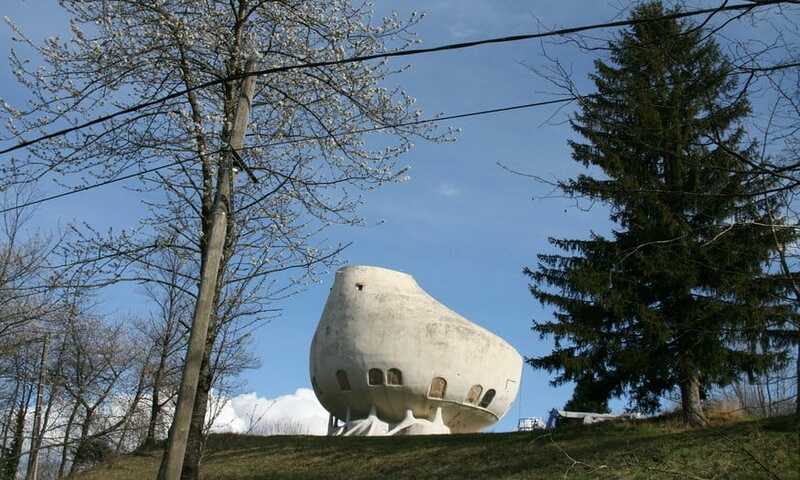 Yes, it looks like a bedpan, and yes it’s in the middle of the Alps. 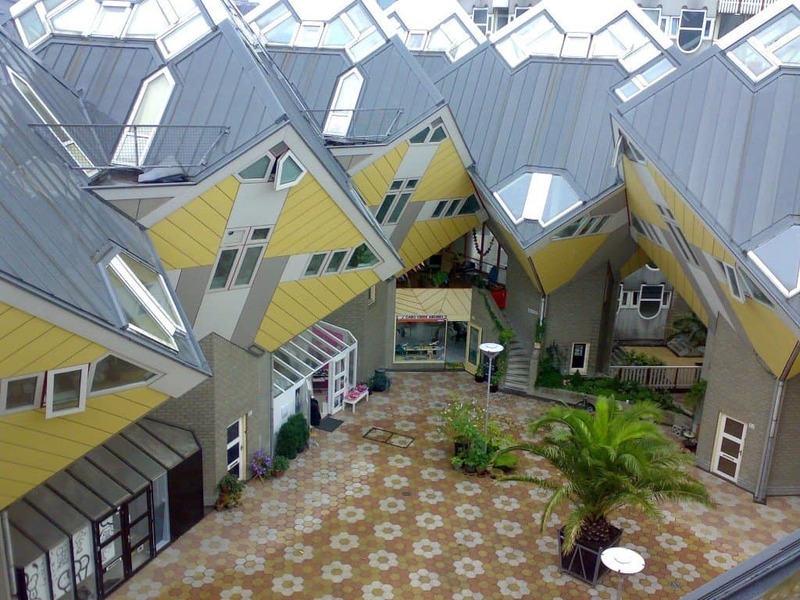 If you’re looking for a weird house, it’ll be hard to find anything much weirder than this. In fact, this makes a hobbit-house look downright normal. 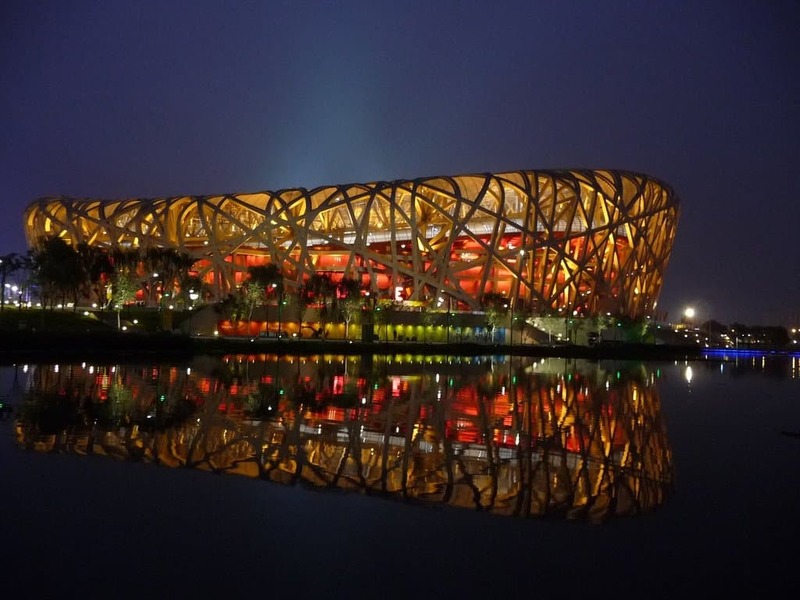 Built in 2008 for the Summer Olympics and Paralympics, this amazingly beautiful-yet-weird structure rivals the Sydney Opera House for fame, especially when it’s lit up at night. It’s currently being used for other sporting events, which is, of course, smart. After all, who wants to let a cool-yet-weird structure like that just sit there? Prague is known for its super traditional architecture. So imagine someone designing a building that curves and leans in the middle on one side. 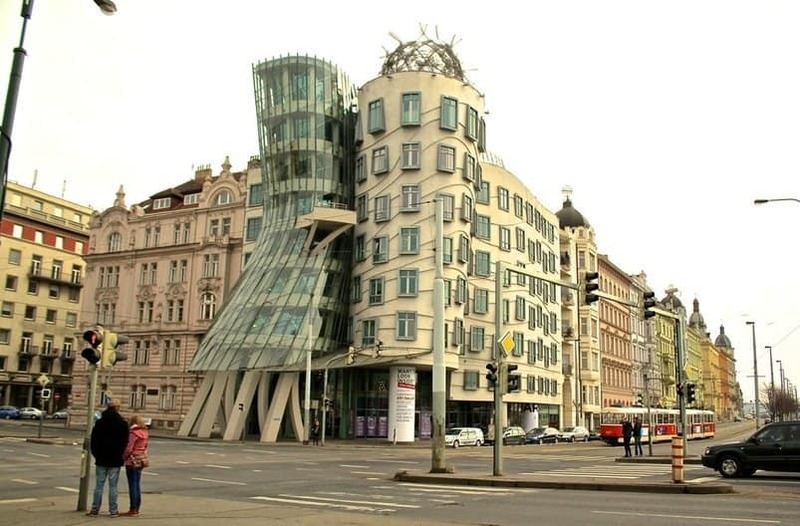 Prague residents have nicknamed it “Ginger-and-Fred,” after the famous dancing duo, Ginger Rogers and Fred Astaire. It’s not hard to see why. Anyone who loves to read usually loves libraries, right? Well, how about a library that actually looks like a shelf full of classics? 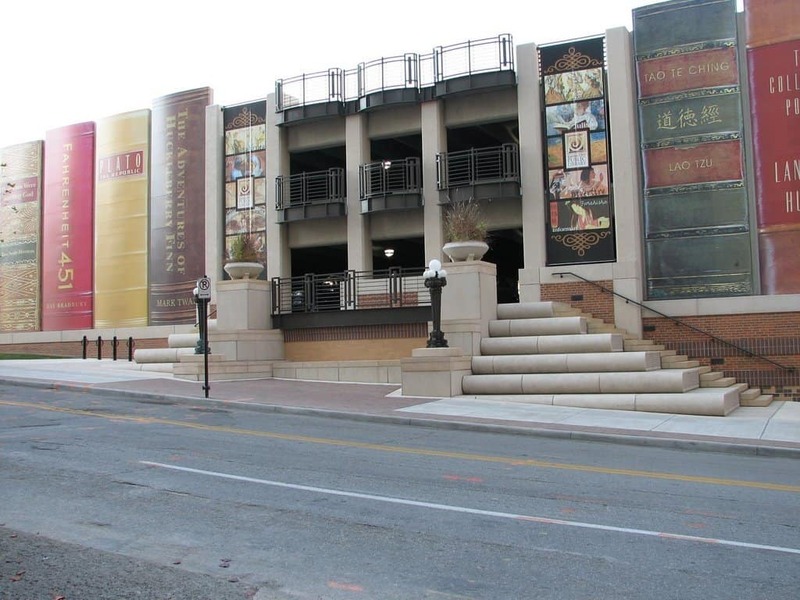 Definitely not your average brick-and-stone portal to literary adventure. 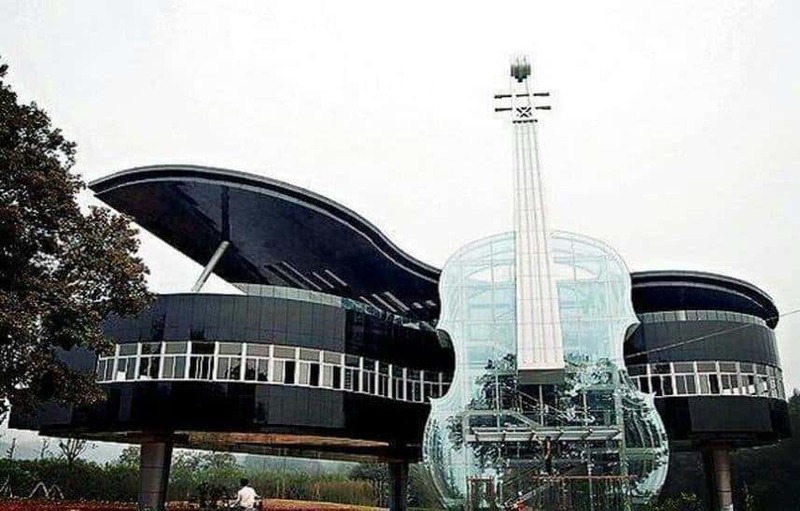 This strange-yet-beautiful structure is a musician’s dream. Imagine you’re a musician and you live in something as crazy-looking, yet inspiring. You likely wouldn’t want to leave its confines for all the music your dwelling feeds into your creative brain. 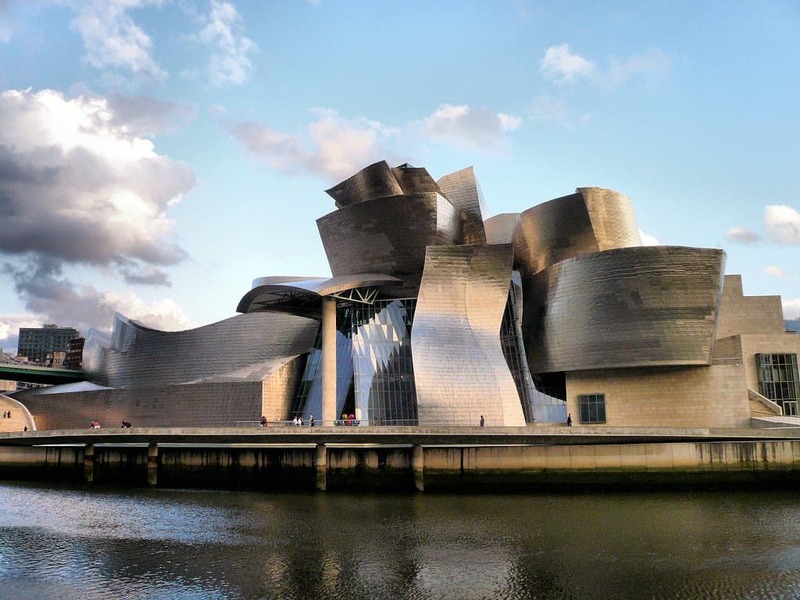 Built by Frank Gehry, this unusual museum structure was, believe it or not, erected on a very tight schedule and budget. 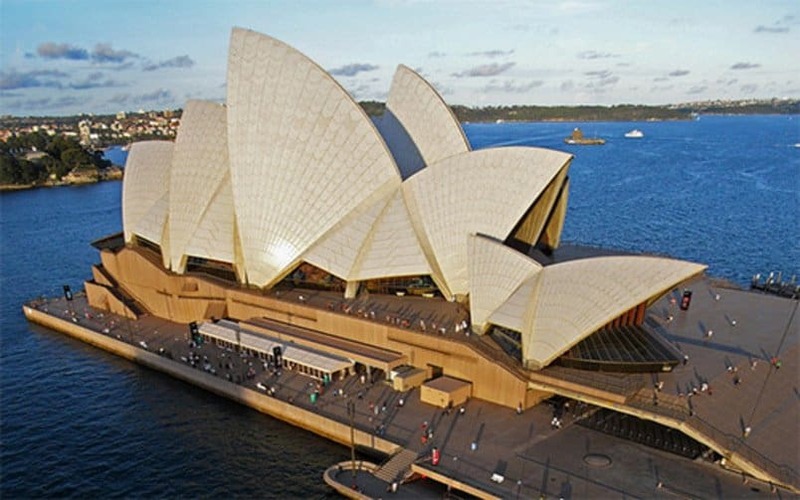 It’s hard to imagine, given the size and overall curved structure of the place, but because of its curved walls, it’s one of the most talked about modern museums. 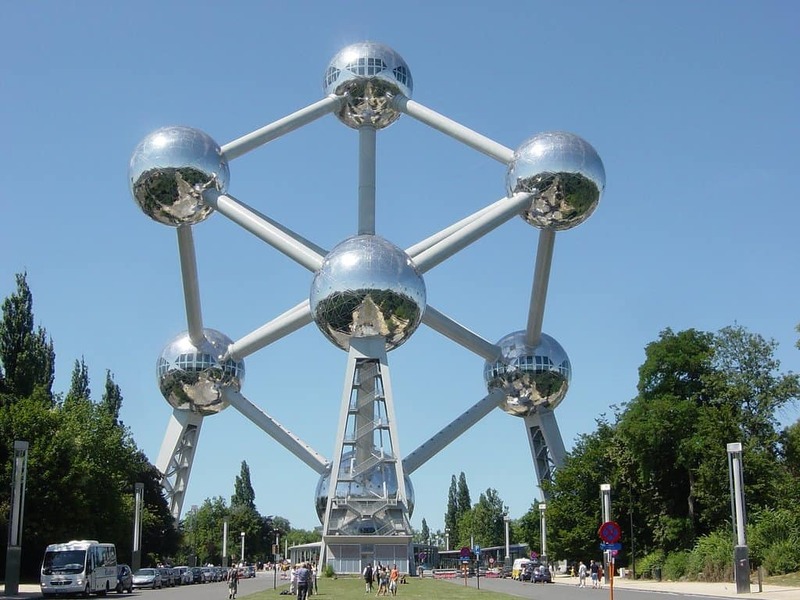 The Atomium is one of the truly unique and unusual pieces of architecture out there. So it should be, as it was built for the 1958 World’s Fair in Brussels. Most of the cells are commonly used for temporary science exhibits, five of which are permanent, but even if you don’t visit for the science stuff, at least go up in the escalators to get a super panoramic view of Brussels. Of all the churches in the world, this cathedral, which serves as the headquarters for the Archdiocese of Brazil, doesn’t even look like a typical church, despite the big cross at the top. It might as well be a strange, pyramidal UFO or something, with the cross serving as an antenna to send messages to space—or God, perhaps? 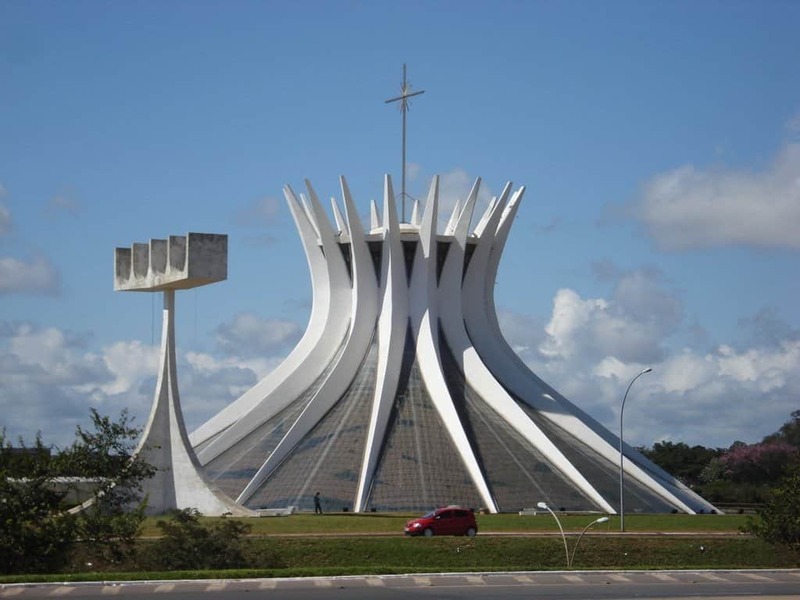 All right, so this looks more like a somewhat typical church compared to the Cathedral of Brasilia, but look again from afar at its front facade: it looks something like a rocket ship made of stone. 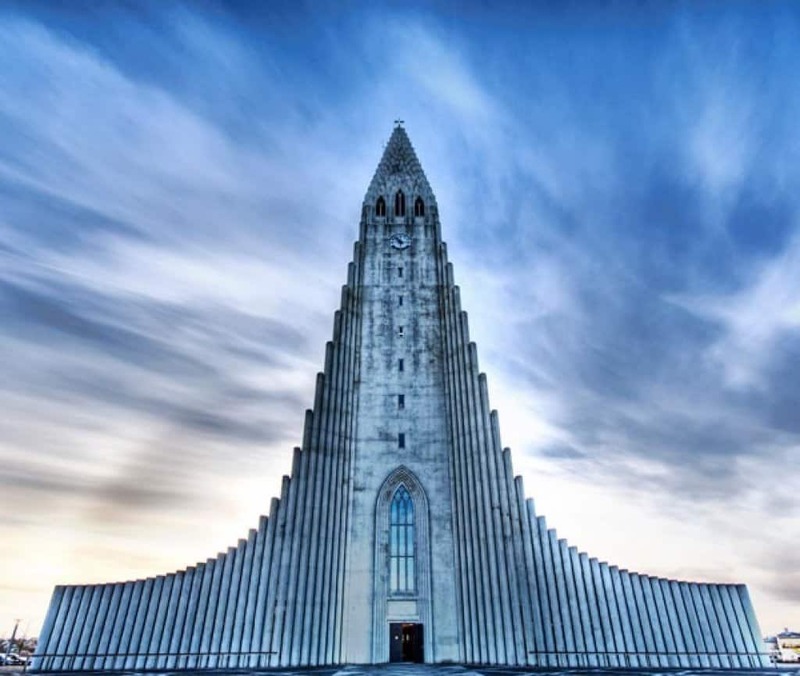 It’s also the fourth-tallest building in Iceland, so it doubles as an observation tower. The equally strange labyrinth-style stone pavement outside truly makes you think of something out of a sci-fi or fantasy novel, if you let your imagination fly. 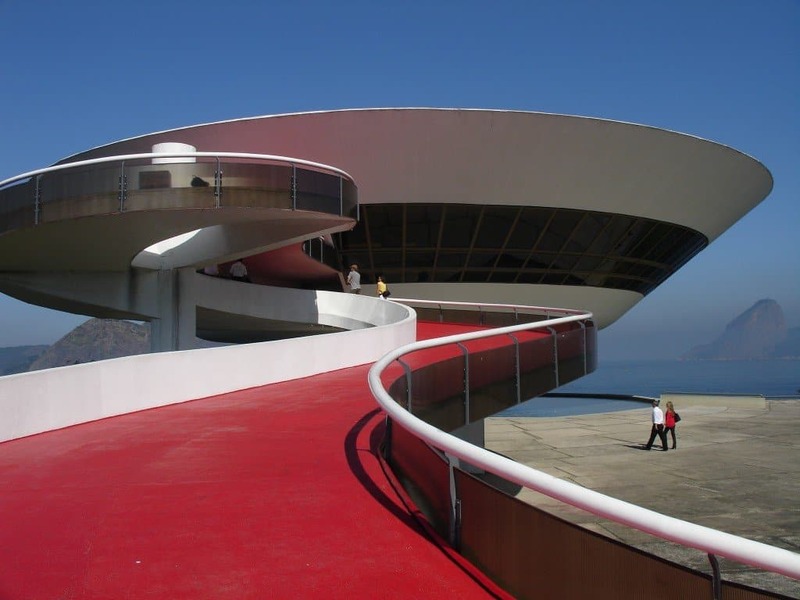 Brazil clearly has a thing for weird, UFO-like structures, and its museum of contemporary art is no different. It was built in 1996, so it’s a mere 19 years old, compared to some other places. What makes this place even more UFO like is the giant, red-carpeted walkway and its position on a tiny peninsula near the water.